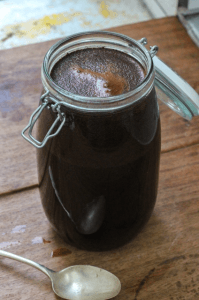 When it comes to cold coffee, we hear the terms “cold brew” and “cold press” quite often, and we’ve written article on both topics (see above), as they’re different. Now, that said, one thing you should know about all cold coffee is that it technically is better for the taste of your coffee than brewing hot coffee. We’ve spent some time talking about the effects of too much heat in certain circumstances having an adverse affect on coffee beans when they are ground up, but the elephant in the room here is that heat itself isn’t necessarily good for coffee, in terms of flavor. Yes, with the right burr grinder you can grind your beans and brew delicious coffee or espresso, because of the way that the burrs handle the grinding. This is all well and good. But the process of making cold coffee is different. Yes, it takes a lot longer to make a cold brew properly, but arguably the rewards in terms of flavor can be greater due to extraction process used. When the summer weather hits, cold coffee is there for you and you don’t want to miss out! There are many different ways to prepare it, and many different cold coffee makers you can use. Have a read of some of our fantastic articles on the topic and learn more about it!